The Voodoo Tactical Crossfire glove is a good all around tactical glove designed to perform well in wet or dry environments. 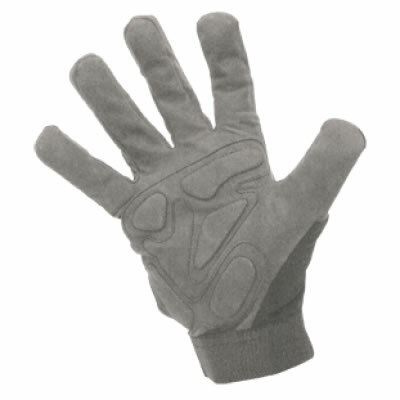 Crossfire tactical gloves are constructed of soft pliable Amara synthetic leather palm and fingers with four way spandex nylon back. These advanced materials provide superior grip during wet ops, won’t get waterlogged like leather, and are quick-drying. For your protection, Crossfire gloves offer a padded palm, over-wrapped fingertips, and a reinforced thumb. They also have an elastic wrist with Velcro closure. These gloves run a bit snug. Based on customer feedback, we recommend ordering one size larger than you normally wear. In this article, I will be reviewing Voodoo Tactical’s Crossfire Gloves. 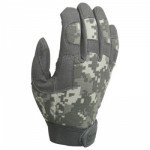 Whether you are running through tactical drills or just stacking firewood, everyone needs a good pair of gloves for protection. 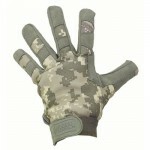 I ran across these Voodoo Tactical gloves on Amazon and liked what I saw. They had a fairly high rating and decent comments so I thought I would give them a try. Voodoo Tactical’s Crossfire gloves are constructed from a combination of soft Amara synthetic leather and a four-way stretch Nylon Spandex fabric. The Amara synthetic leather cover the palm and fingers featuring a padded palm, over wrapped finger tips, and reinforced thumb for added protection and a superior grip in wet conditions. The Nylon Spandex covers the back of the glove so it is very breathable, moisture-wicking and it dries quickly should it become wet. Crossfire gloves have a comfortable elastic wristband sealing the glove to your wrist and a Velcro hook-n-loop to securely lock the closure tab down. All of the fingers and fingertips are well formed and free from material bunching for better finger dexterity and control. All seams appear to be well-stitched, with most being double-stitched for extra durability. Recently, I picked up a pair of the large Crossfire gloves in ACU since they do claim to run a bit small. After unpacking them and putting them on for the first time, I was rather impressed at how great they look and well they fit. They are really very comfortable to wear, even for a long period of time. At $20, the Crossfire gloves are certainly not the cheapest option out there, nor are they the most expensive. 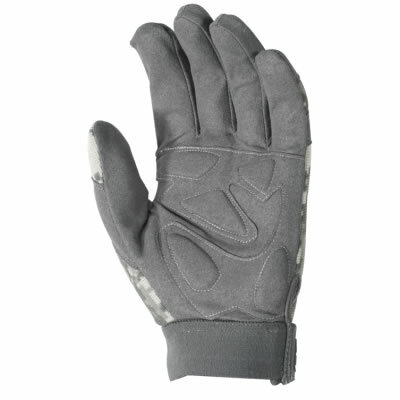 They are comparatively priced with an average pair of mechanics or contractor -grade gloves. When used for tactical purposes, the gloves performed exactly as expected. After a day of handling firearms and wielding some knives and machetes on some light bushcrafting, the gloves really did not show much wear at all. I thought they were going to be great after all. Then I used them to sort and stack a few cords of wood, and the gloves did not fare quite as well as I had thought they would. Many of the fingertips nearly wore all the way through. I’ve also had similar experiences with a variety of different mechanics and contractor gloves, and I’ve had some work gloves that were virtually indestructible over the years as well. I guess you just get what you pay for. I will likely not buy them again unless I decide to keep them for tactical purposes only. Although, I really need to find a few pairs of gloves that will hold up no matter what I happen to be doing… So for me, the hunt is still on for something better. Voodoo Tactical is a brand of MOLLE compatible and related tactical gear designed in consultation with Todd Swank, a well-known sniper currently serving in a major metropolitan police department. He is also a firearms instructor, and former army ranger and a member of Team Voodoo Tactical, which competes on the national SWAT competition circuit and in other firearms competitions. We are a full-line retailer of Voodoo Tactical brand products and a Voodoo Tactical licensee. Our Voodoo Tactical store is the flagship online outlet for Voodoo Tactical brand and other top brands of tactical clothing and gear to military, law enforcement and civilian operators. We are as serious about our business as you are about your gear. We are also the only online retailer licensed by the manufacturer to use the Voodoo Tactical name.